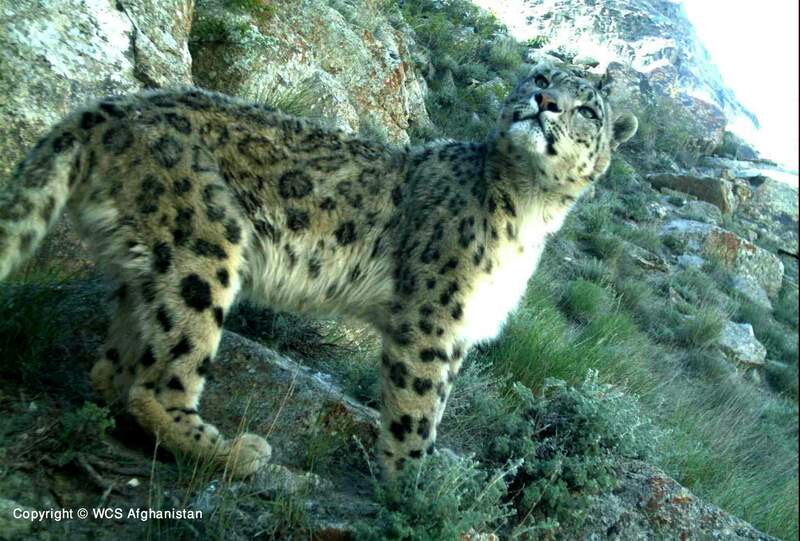 In this June 8, 2012, camera trap photo provided by the New York-based Wildlife Conservation Society (WCS), a snow leopard walks on Pamir mountains in Sarkand valley, Wakhan district of Badakhshan province, far northeastern Afghanistan. In this picturesque corner of Afghanistan, a unique conservation effort has helped bring the elusive snow leopard back from the brink and given hope to one of the poorest and most isolated communities on earth. 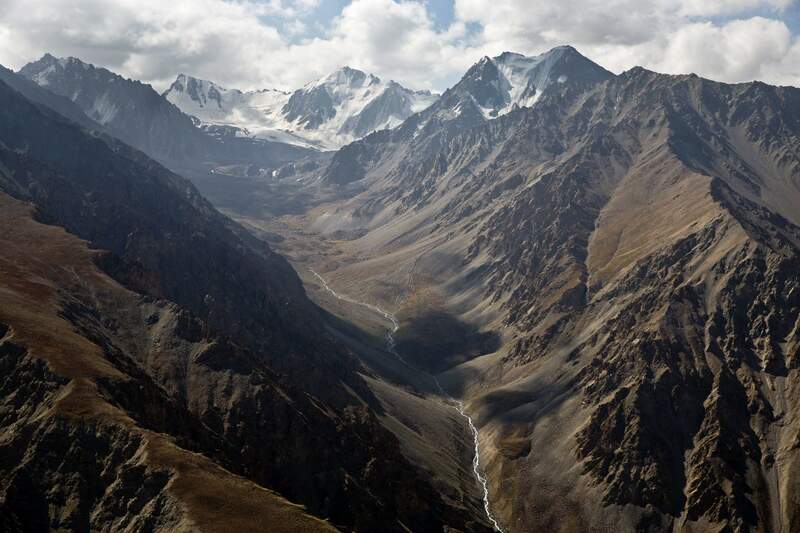 An ariel view of the snow-capped Pamir mountains in the Wakhan district of Badakhshan province, far northeastern Afghanistan. In this picturesque corner of Afghanistan, a unique conservation effort has helped bring the elusive snow leopard back from the brink and given hope to one of the poorest and most isolated communities on earth. Their numbers declined in recent decades as hunters sought their spotted pelts and farmers killed them to protect livestock. 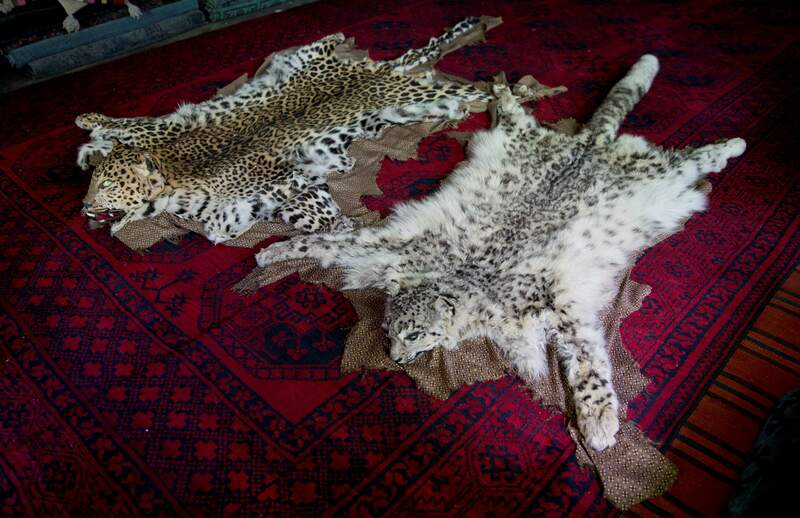 The skins of snow leopards are displayed at a market in Kabul, Afghanistan. In a picturesque corner of Afghanistan, a unique conservation effort has helped bring the elusive snow leopard back from the brink and given hope to one of the poorest and most isolated communities on earth. The leopards range across the snowy mountains of a dozen countries in Central and South Asia, but their numbers had declined in recent decades as hunters sought their spotted pelts and farmers killed them to protect livestock. 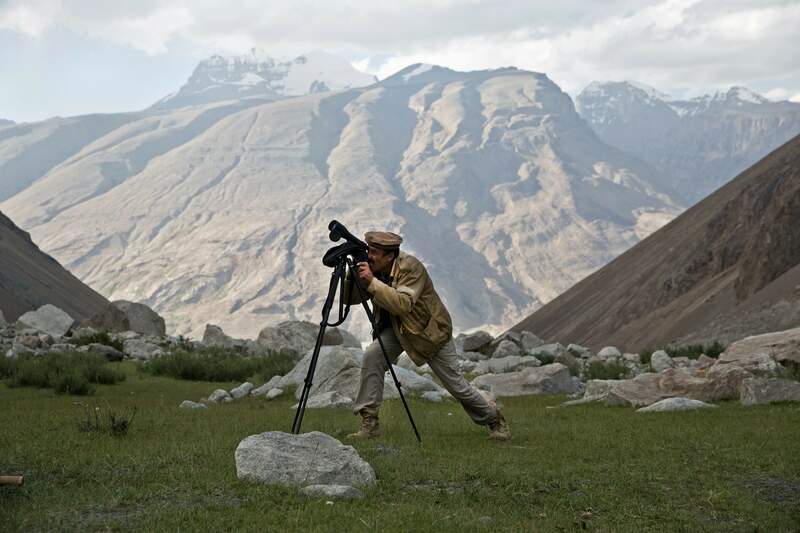 An employee of the New York-based Wildlife Conservation Society looks for snow leopard in the Wakhan district of Badakhshan province, far northeastern Afghanistan. In this picturesque corner of Afghanistan, a unique conservation effort has helped bring the elusive snow leopard back from the brink and given hope to one of the poorest and most isolated communities on earth. Their numbers declined in recent decades as hunters sought their spotted pelts and farmers killed them to protect livestock. 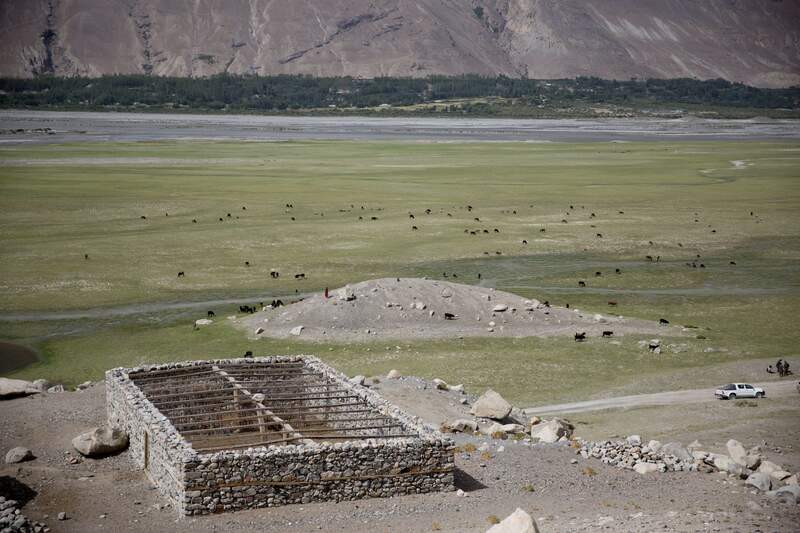 A protected corral in Wakhan district of Badakhshan province, far northeastern Afghanistan. A unique conservation effort has helped bring the elusive snow leopard back from the brink and given hope to one of the poorest and most isolated communities on earth. Snow leopards have benefited from conservation programs going back to 2009, when the New York-based Wildlife Conservation Society, began building enclosed corrals with mesh roofs to protect the sheep, goats and cows that are the backbone of the local economy. Employees of the New York-based Wildlife Conservation Society install a trap to capture snow leopards, in Sarkand village, Wakhan district of Badakhshan province, far northeastern Afghanistan. In a picturesque corner of Afghanistan, a unique conservation effort has helped bring the elusive snow leopard back from the brink and given hope to one of the poorest and most isolated communities on earth. Their numbers declined in recent decades as hunters sought their spotted pelts and farmers killed them to protect livestock. Employees of the New York-based Wildlife Conservation Society check equipment to see if any snow leopards have been captured, in Sarkand village, Wakhan district of Badakhshan province, far northeastern Afghanistan. A unique conservation effort has helped bring the elusive snow leopard back from the brink and given hope to one of the poorest and most isolated communities on earth. Their numbers declined in recent decades as hunters sought their spotted pelts and farmers killed them to protect livestock. In this July 2, 2012, camera trap photo provided by the New York-based Wildlife Conservation Society (WCS), a snow leopard walks on Pamir mountains in Sarkand valley, Wakhan district of Badakhshan province, far northeastern Afghanistan. In this picturesque corner of Afghanistan, a unique conservation effort has helped bring the elusive snow leopard back from the brink and given hope to one of the poorest and most isolated communities on earth. Afghan farmer Hassan Beg is in his corral, in Sarkand village, Wakhan district of Badakhshan province, northeastern Afghanistan. In this picturesque corner of Afghanistan, a unique conservation effort has helped bring the elusive snow leopard back from the brink and given hope to one of the poorest and most isolated communities on earth. 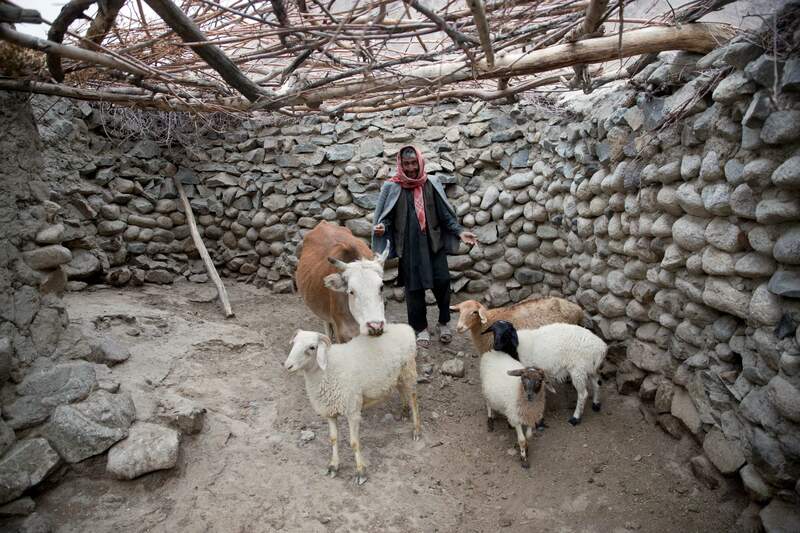 Beg says he lost 22 sheep and goats in one night a few years ago when a snow leopard got into his uncovered corral, but he has since built his own roof over the enclosure using tree branches. Briton Ashley Vosper, a landscape expert with the World Conservation Society, speaks during an interview with The Associate Press, in Qazideh village, Wakhan district of Badakhshan province, far northeastern Afghanistan. In this picturesque corner of Afghanistan, a unique conservation effort has helped bring the elusive snow leopard back from the brink and given hope to one of the poorest and most isolated communities on earth. Their numbers declined in recent decades as hunters sought their spotted pelts and farmers killed them to protect livestock. WAKHAN, Afghanistan – In a picturesque corner of Afghanistan, a unique conservation effort has helped bring the elusive snow leopard back from the brink and given hope to one of the poorest and most isolated communities on earth. The leopards range across the snowy mountains of a dozen countries in Central and South Asia, but their numbers had declined in recent decades as hunters sought their spotted pelts and farmers killed them to protect livestock. Now they appear to be thriving, thanks to a seven-year program and a newly declared national park. 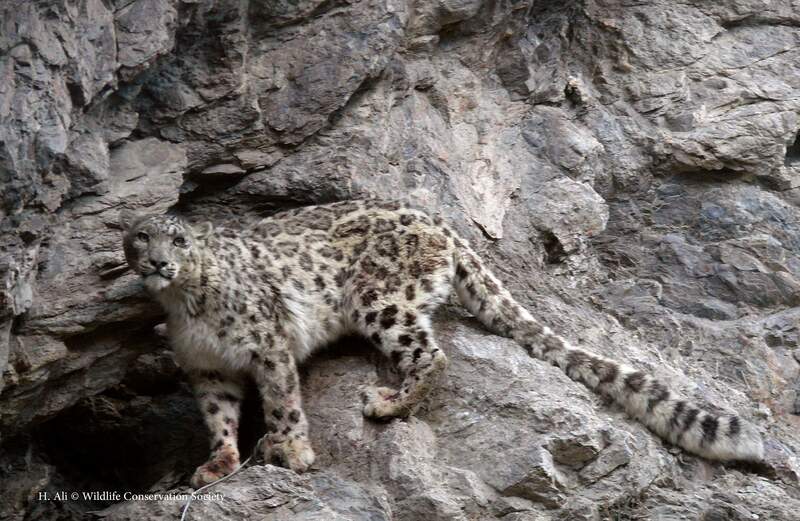 Scientists who have been tracking the shy leopards estimate there are up to 140 cats in the Wakhan National Park, established two years ago across 4,200 square miles. Stephane Ostrowski, a specialist with the New York-based Wildlife Conservation Society, says that’s a healthy and sustainable number, and indicates that other species like the Siberian ibex and golden marmot – the leopards’ main prey – are also doing well. His findings are the result of research carried out in one of the most hard-to-reach places on earth. The Wakhan corridor is nestled high in the Hindu Kush mountain range and cut off by snow for most of the year. The 15-year-old war with the Taliban rages 18 miles to the south, and the nearby borders with Tajikistan, Pakistan and China are usually closed. The United Nations Development Program funds and oversees all the WCS activities in the Wakhan, and will provide $3 million for the snow leopard project over the next two years. 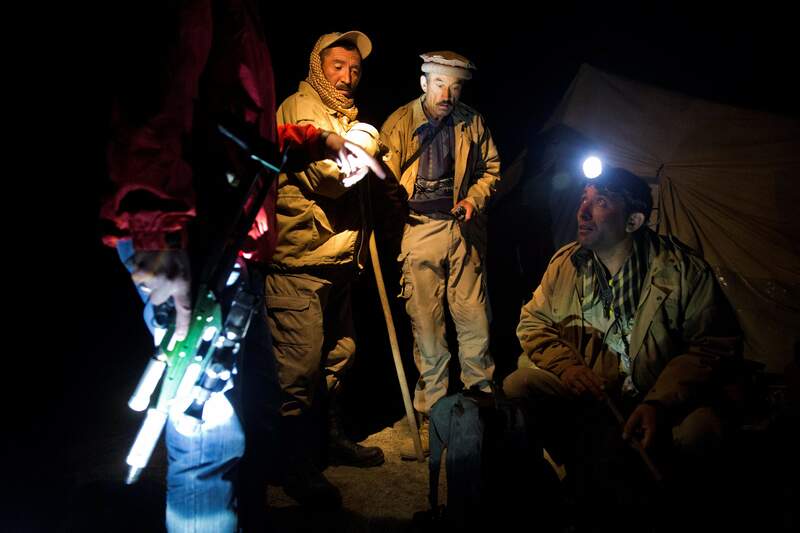 Ostrowski and the other foreign and Afghan scientists camp in yellow tents in the Sarkand Valley for months on end, monitoring and maintaining a far-flung network of cameras and traps. In just one year, they collected around 5,000 images of 38 individual cats. They managed to capture four leopards – one of them twice – and were able to fit them with collars and track them with GPS. They hope to catch another two by the end of the year. They’ve learned that snow leopards range widely. Like house cats, they mark their territory by spraying and scratching the ground, but unlike their distant relatives, they don’t mind getting wet. “These cats can cross big rivers and swim in extremely cold water,” Ostrowski said. One female crossed the Amu Darya river into Tajikistan, stayed a couple of weeks and then returned. The snow leopards have benefited from conservation programs going back to 2009, when the WCS began building enclosed corrals with mesh roofs to protect the sheep, goats and cows that are the backbone of the local economy. 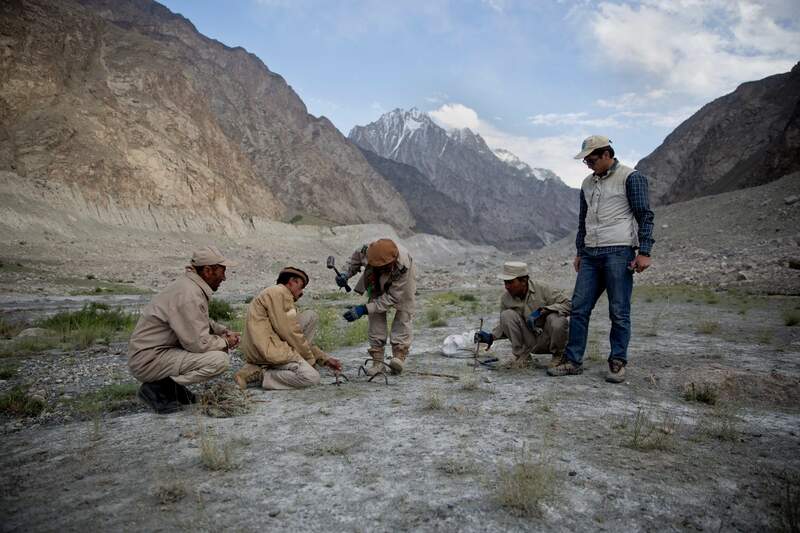 It was the first step toward bringing modern conservation techniques to Wakhan, where the population of around 17,000 lives off of subsistence farming. In one of the poorest regions of one of the world’s poorest countries, the leopards had long been seen as a menace. A presidential decree banning all hunting countrywide was issued in 2005, but the scientists recently found a carcass with a bullet in its head. Some 250 miles to the southwest, at a crowded market in the capital, Kabul, a shopkeeper discreetly produced a snow leopard pelt with a long cylindrical tail and a face distorted by crude taxidermy. He wanted $1,800 for it. “We receive reports from all of the provinces where hunting is going on illegally, whether it is because of poverty, whether it is for hobby, whether it is for selling it at a higher price in the market,” said Mostapha Zaher, director general of the National Environment Protection Agency. But back in Wakhan, the conservation efforts appear to be catching on. At Qala-i-Panja High School, where students say they’ve never heard of the internet, they’ve embraced modern notions of wildlife preservation. A snow leopard cub stares down from a poster affixed to the otherwise bare walls. The snow leopard is the national park’s star attraction, even if most visitors are unlikely to see one. But the region also boasts wolves, brown bears, red foxes, and the long-horned Marco Polo sheep – named for the 13th century Italian explorer who spotted one on his journey to the Far East. Only around 100 visitors reach Wakhan every year, most entering from Tajikistan during the summer months. Wakhan’s poverty and isolation has insulated it from decades of war, but has also deterred all but the most adventurous travelers. 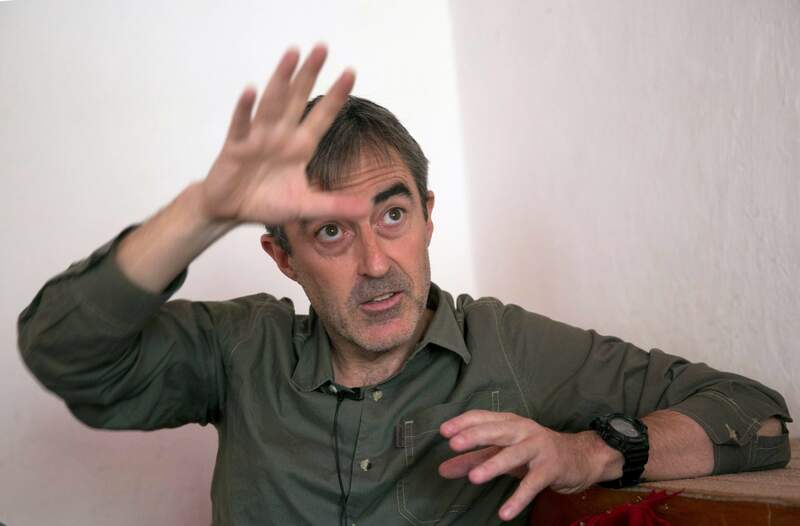 Frenchman Jocelyn Guitton, an EU diplomat, arrived in August with plans to trek to the corridor’s northeast and visit Kyrgyz nomads. He allows that it’s “off the beaten track,” but says he hopes tourism can bring “visibility and good practices” to the region. Since declaring the national park two years ago, the government has been holding public meetings known as shuras throughout Wakhan to cultivate local support for the idea and to reassure residents who initially feared they might lose their land. “It’s a new concept for these people and it’s a new concept for Afghanistan, so it takes time,” said Ashley Vosper, a landscape expert at WCS who has taken part in the meetings. Vosper says the park actually provides “brilliant protection” to residents by ensuring that no one else can use their land while bringing economic development to the region. “It can be a nice two-way balance,” he said. Zaher hopes that Wakhan can one day rival Afghanistan’s only other national park, in the central Bamiyan province, which attracts thousands of tourists each year to the crystal blue lakes of Band-i-Amir.